Cloud has become the buzzword today. It refers to either the Internet or an intranet in association with some type of service or application offering. Knowing the benefits of hosting, today most companies have started using Cloud hosting solutions for their business. Cloud hosting is the latest form of hosting and has become extremely popular. In cloud hosting, the resources which are necessary for the maintenance of your website are spread across more than one web server, and are used as per the requirement basis. Owing to this the chances of any downtimes in case of a server malfunction are reduced greatly. Further, cloud hosting allows you to manage peak loads very easily without facing any bandwidth issues. This is because you have another server that can provide the additional resources in case of any necessity. So, your website doesn’t rely on just one server. Rather a cluster of server works together (termed as “the cloud”) to provide all the resources. One of the best examples of cloud hosting is the giant search engine Google itself. Google is having its resources spread over hundreds of servers on the cloud. Because of this you would hardly see Google facing any downtimes over past decade. So, now you know that each server in the cloud has its own particular set of tasks to be carried out, so in the case of failure of the servers in the cloud, another server gets in and offers a back-up to render the required resources. The same is the case with overload condition too. However, due to the usage of low-quality server hardware, the performance gets hampered significantly. Therefore, it is recommended that you choose a reliable web hosting provider with good reputation. 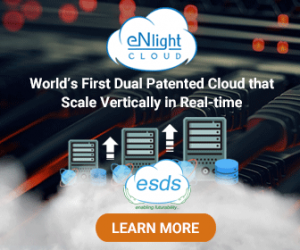 What is Enterprise Cloud Hosting? Cloud hosting is much reliable as compare to dedicated servers since get multiple servers at your disposal as compared to dedicated servers that which offer relief so that you can cope-up with any emergencies without breaking a sweat. So, it is the faster page load speeds and increased reliability what cloud hosting can provide you with. As mentioned above, cloud hosting allows resources to be rapidly provisioned on demand. You can quickly add further processors, RAM or disk capacity and can automatically scale according to peaks in traffic. Although price varies as per the usage, cloud architecture is a bit expensive as compared to VPS and traditional shared hosting. In the case of VPS, a single server is divided into multiple chunks, and each portion is managed by a particular user. This is the reason why the cost is reasonably low. However, you have to compromise on the reliability factor which is quite higher in case of cloud hosting. Those businesses who aren’t much concerned about the reliability factor can choose VPS over cloud hosting. 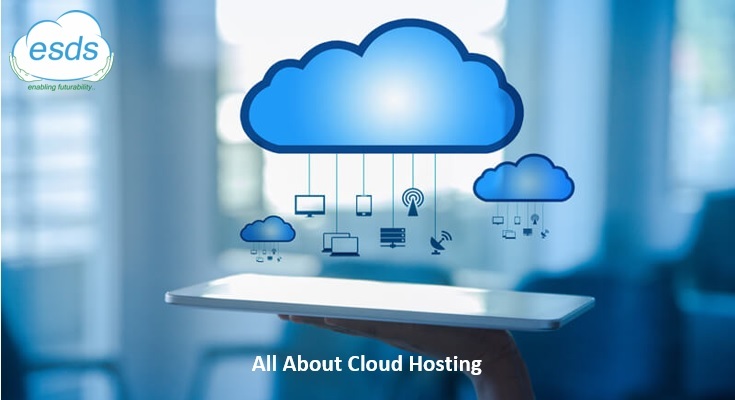 It is very obvious that cloud hosting has multiple advantages owing to which large enterprises have been employing it since years. However, for small businesses, the pricing is a factor to consider. However, the good news is that the cost factor has been reduced considerably over the last 4-5years. Knowing the advantages of cloud hosting many mid-size organisations are making a move to the cloud arena. In years to come, cloud hosting will replace both shared and dedicated server plans. Everyone will use a cloud service whether they’re aware of it or not. In future, one can definitely expect to see more and more businesses making a shift to cloud. Also, noticing a trend of reducing cost in cloud implementations it wouldn’t be wrong to say that one day almost all of us would be in the clouds!